Over five years ago I wrote an article entitled ‘Demonic and Ungodly Names in the Book of Mormon’. Since then I have been asked by numerous people to write more on this particular subject so here it is! ‘Back by popular demand’as they say, I went through my old notes and found some other names I think would be of interest to the Mormon, and non-Mormon alike. There were more than 50 names of people and/or places contradicting what Biblical accounts report. Here are just a few of them. The name of Chemish so closely resembles the name of Chemosh from the Bible, it’s hard to ignore. 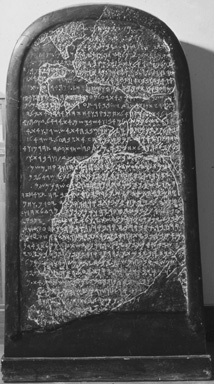 In Mormonism the name Chemish belongs to the brother of Ameleki. These two brothers and others, were responsible for writing the book of Omni in the Book of Mormon. It is evident from the writings in the Book of Mormon that they believe Chemish to be an honorable man, worthy of writing their “scripture” and worthy enough to be listened to. As it turns out, Jared and his family are the only people in the whole world who didn’t have his language confounded when God scattered the people at the time of the tower of Babel. After Jared told his brother to pray for God not to confound their language, they somehow miraculously realized God heard the brother of Jared’s cry. It’s also interesting to note that Jared’s brother never seems to have his own name. Joseph Smith claims the people who descended from Jared are called the Jaredites. The Jaredites had grown to become a great god-fearing nation which moved to the Americas, thus the Book of Mormon. After many generations and hundreds of years, they were destroyed by civil wars caused from the disobedience unto the Lord. With these two simple things in mind, why would God decide the rules were different for some and not all? What was so different about Jared and his non-named brother that they and their friends didn’t have the same treatment? 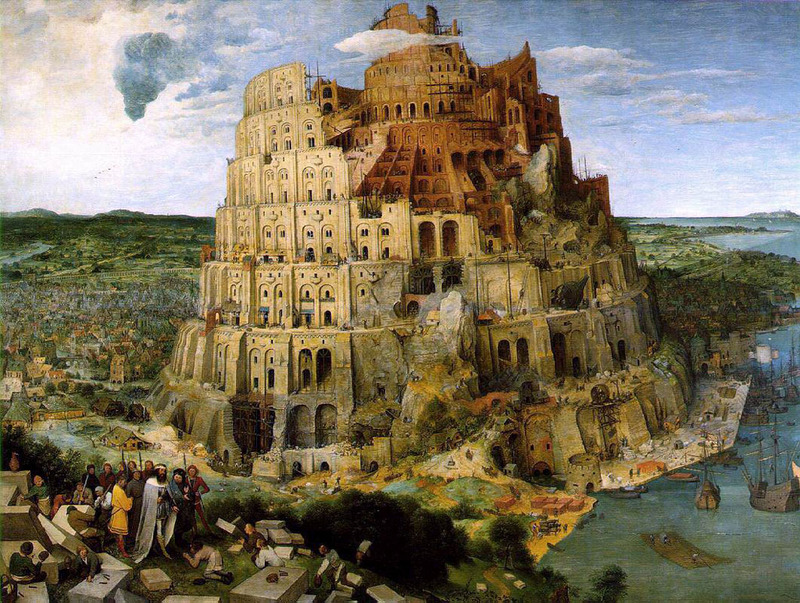 The story of the tower of Babel can be found in Gen. 11. Verse nine says; “Therefore is the name of it called Babel; because the LORD did there confound the language of ALL the earth: and from thence did the LORD scatter them abroad upon the face of all the earth”. Two more things come to mind when I read this passage. 1-God can’t be trusted. If God ‘swore in his wrath’ that they would be scattered and he confounded the language then went back on what he said, it’s likely that he could be bought off the next time I sinned. 2-Did he, or did he not, confound the language? If he confounded the languages and then Jared’s brother started praying, did God have to give them back their languages? Call me picky, but I think that knowing the God I worship is a serious business, and I want to make sure I know it intimately! The Amalekites however are another story, there was nothing godly about these people, and they were not the godly men great scholars that Amaleki #1 & #2 were. The Amalekites were a people that were apostates, originating from the Nephites. The Amalekites helped build a city called Jerusalem (Alma 21:2), their hearts were harder than the Lamanites (Alma 21:3) and were preached to by Aaron in their own synagogues (Alma 21:4). They were said to be from the order of Nehor. The Nehors were people who intentionally preached something other than the word of God. This all took place circa 90 BC as Aaron went to the sanctuaries to preach the scriptures of the crucified Lord Jesus. As the story progresses it talks of how Ammon even went out to preach in the synagogues in the land of Ishmael. Now I could go on and on about the time-line part of preaching Jesus crucified, and it still being 130 BC, but bear with me here as I try to ignore that part of the story. Smith has made it hard to believe anyone called by the name of Amaleki, or its derivatives, could be anything but horrible. The Biblical accounts of the Amalekites spans from the book of Genesis to 1 Chronicles 4:43. Let’s see what the Bible says about them and why no mention of them is found after that. “And they [Israelites] smote the rest of the Amalekites that were escaped, and dwelt there unto this day”. 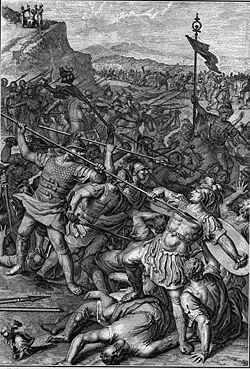 So it seems that there weren’t any Amalekites after this battle! How then did they make it all the way over the waters of the Atlantic Ocean and survive being annihilated as well? When I read the accounts of these people the stories are far too similar. I am also taken aback that anyone who is considered to be a “holy” mouthpiece for the Almighty God would be touting a name such as Amaleki. Amalek is considered to be a descendant of Esau. They were the very first people who fought with Israel after they crossed the Red Sea. This is rather significant in the whole matter! There is also a problem here with who was preaching to whom. Why were the Amalekites being preached to by Ammon in the land of Ishmael? I have already established who Ammon was in my last article. The Mormons believe that he observed the laws of Moses. (Alma 25:15-16). The Bible says they [Ammonites] were a nomadic people who were descendants of Lot. Ammon’s deity was Molech. (Gen. 19:38). My question is this; why was this “good prophet” in the Book of Mormon out preaching to the Amalekites when in the Bible the Ammonites were bowing to Ba’al? Wouldn’t that mean the Amalekites were getting another gospel? Come alongside us to pray for and witness to the Mormon people won’t you? If you are LDS know that we pray for you each and every day.